Due to demographics, our office has a men's room and a co-ed restroom on my floor. It's generally not a big deal to share the restroom, but every now and then something weird happens. 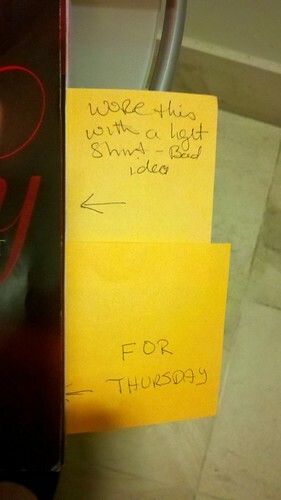 For example, someone recently left a Victoria's Secret catalog on the table next to a toilet in the co-ed restroom. 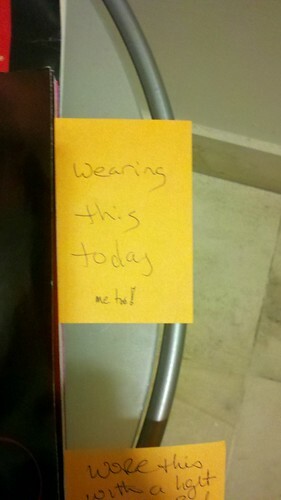 A few days later, post-it notes started appearing on the catalog. you should leave note : "fucked someone with this magazine"
At the time of this writing, it is untrue. In five different handwritings, even. I'd be really impressed if they left a catalogue from this online store in there. 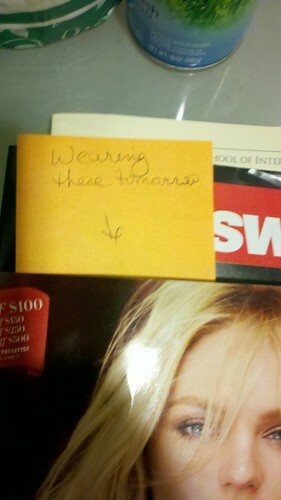 I looked at this very quickly and thought, "wow, that's a very racy cover for Newsweek." By the way, you showed up in a really bizarre dream of mine last night. You were having shoulder surgery, and for some reason it was set up final table style where random passers-by could sit down and watch. Bill was hanging out, as were a few other people that we both knew. The surgeon kind of tugged your muscles apart because they were sticking together when you moved, wrapped one of them in some sort of sheath, and said, "There! That should do it." Ten minutes later you were on the rail talking to us. I have no clue. I suspect "me too!" did, but for no reason that I can put my finger on. "Thanks. Now you probably want to wash your hands." Yeah the Newsweek thing threw me too.